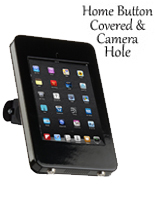 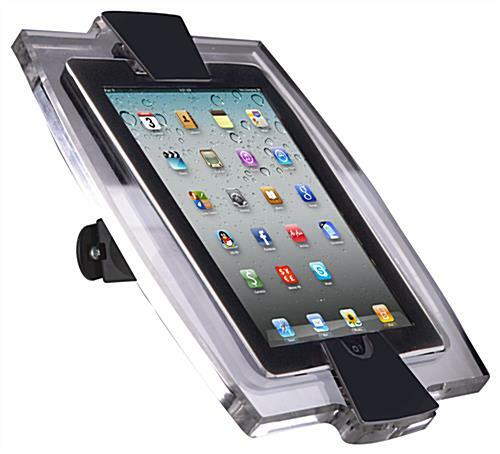 These wall mounting iPad Mini enclosures make ideal business accessories. 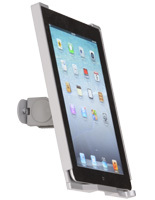 The brackets can be used to affix tablets to any wall and can adjust to hide or show the home button. 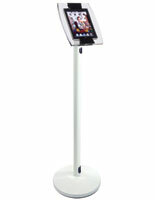 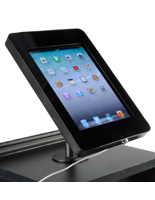 The acrylic and steel iPad Mini enclosures are great for conference room settings and retail locations. 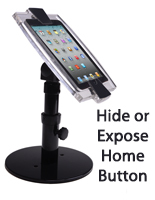 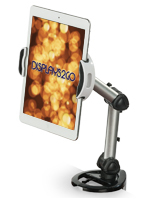 Each mount comes with a rotating and tilting cover for easy use from any direction. 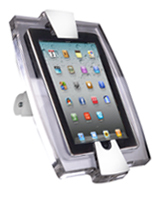 Enclosures like these can be purchased in larger sizes to accommodate other tablet models. 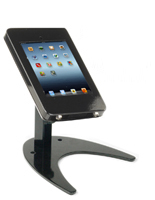 The small design of these brackets makes them excellent for playing advertisments or offering digital sales to customers! 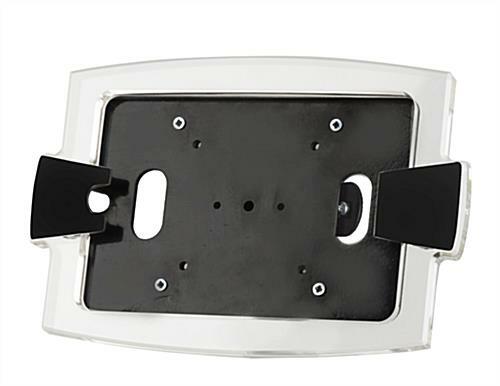 7.1" x 10.8" x 3.3"